The PowerOne ABB Aurora MicroInverter 0.25-I micro-inverter product offers something new to Power-One customers. The ability to individually link all modules within a specific installation is an alternative to the traditional Aurora string inverters Power-One is famous for. 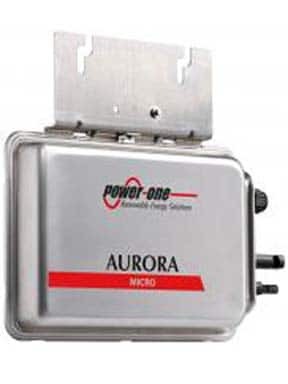 PowerOne ABB Aurora MicroInverter 0.25-I have some advantages over string inverters. They allow you to control the panels output individually and offer Maximum Power Point Tracking (MPPT) for each single module. They also allow you to control individual panels in different ways and reduce the losses in efficiency in a variety of challenging conditions.